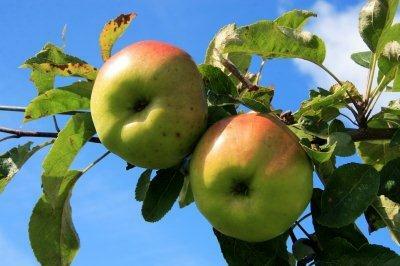 Antiobiotic use on organic apples and pears – One Billion Hungry: Can We Feed the World? Last week the National Organic Standards Board met to discuss a petition from organic farmers to extend the exemption. They rejected this petition and use of the antibiotic Oxytetracyline will not be allowed beyond the existing expiration date. In six months’ time the Board will meet again to discuss the use of Streptomycin. The use of antibiotics is a controversial subject in the food industry, but one mainly associated with the livestock sector, where heavy use has been widely blamed for promoting the spread of antibiotic-resistant bugs. Only around one-tenth of 1% of total agricultural use of antibiotics goes to crop farming. And while only trace amounts of antibiotic residue are left on organic apples and pears, in low amounts so as not to be harmful, their use calls into question issues of transparency. One should note that not all orchards are sprayed with antibiotics – up to 16% of all apple acreage and up to 40% of all pear acreage get sprayed with antibiotics each year in the US – and some farmers utilise cultivation practices, such as aggressively pruning and biological control to manage the disease. But as with horse meat finding its way into European beef products, this issue is less about what goes into our food and more about having that information to make informed consumer choices. Surely we have a right to know what we’re eating and how it’s produced. Strep saved me last year even though I had no fruit because of the devastating spring temperatures. A deep freeze (12F) did extensive leaf damage leaving all of the trees open for infection by fireblight. The odds are good that I would have lost my entire planting if I had not promptly treated those wounded trees with an appropriate dose of Strep. I am as leery of the overuse of antibiotics and most, but like any physician would tell you, there is a time and a place for them. Removing them from the organic toolkit would be a mistake. There are people that claim that with proper education and techniques, such a thing can be avoided. I am not a farmer so I do not know. Regardless, if a crop has had to be sprayed, I wholeheartedly believe that there should be some sort of way that people can have the choice whether they care about consuming fruit treated with antibiotics or not. If general organic labeling allows such a thing, perhaps there should be a “higher standard” label that would not. Personally, I would spend the extra money to have such a luxury. For now, I am choosing to try to buy local as much as possible so I may speak with farmers directly to see first-hand how my food is grown. I found this post very interesting as I had no idea such a thing happened. I feel sad for the farmers dealing with such a thing, but if they choose to use an antibiotic to treat the problem, shouldn’t we at least have a choice whether we want to eat it or not?